MAH HM CET 2019 is held by Maharashtra Unaided Private Professional Educational Institutions (Regulation of Admissions and Fees) Act, 2015 (MAH. XXVIII of 2015). The Competent Authority will conduct the CET (MAH­ B.HMCT CET 2019). Application Form for MAH HM CET 2019 is now re-open. The candidate who wishes to apply for admission to Bachelor of Hotel Management and Catering Technology is now able to apply online at the official website of DTE. The aspirants have to fill and submit the application form by online mode. To appear for the entrance examination, the applicants should download the admit card and will have to bring it to the exam center. The CET will be a computer-based test of 90 minutes duration. 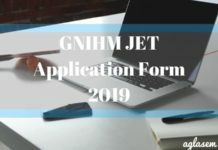 Candidates can get complete Information regarding MAH HM CET 2019 such as application form, application fee, eligibility criteria from the Official websites. Latest: Registration for MAH­ B.HMCT CET 2019 is now re-open up to April 30, 2019. Scroll down to apply. Admission to B.HMCT for the academic session 2019-20 will be done on the basis of merit in the entrance examination. Candidates can check the exam date and the schedule for other events of MAH HM CET 2019 in the table below. For registering online for MAH HM CET 2019 candidates should click on the direct link which has been provided on this page or they can visit the official website at dtemaharashtra.gov.in. In the online application form, the applicants have to provide their Personal Details, Educational Qualification Details, and other necessary information. Also, the applicants have to upload their photograph and signature as per the specifications. After uploading the images, candidates can proceed to pay the application fee. 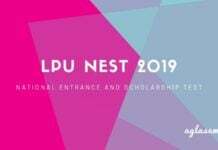 The application fee is payable by online mode via Credit Card/ Debit Card (RuPay/ Visa/ MasterCard /Maestro), Internet Banking, IMPS, Cash Cards/ Mobile Wallets. Apply Online: Click here to apply for MAH HM CET 2019. Candidates appearing for qualifying examination are also eligible to appear for CET. Aggregate marks means the grand total of marks obtained by the candidate in subjects on which the class declaration is made in the particular Board from which the candidate is passing the qualifying examination. The admit card for MAH HM CET 2019 will be issued online for only those candidates who successfully registered for the exam. The MAH HM CET 2019 Hall Ticket will consist of basic information about the exam such as exam date, timings and its venue. To download the admit card, the applicants shall have to enter details such as Registration Number, Password, etc. The applicants should download and take a print out of the admit card. Along with the admit card, the applicants will have to bring a valid photo Id proof to the exam center. Negative Marking: There will be no negative marking for any incorrect answer. 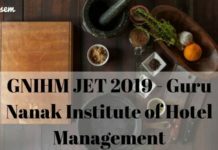 Click Here to download the Sample Questions for MAH HM CET as per last year. In order to qualify an entrance exam, it is important that the candidate must be well aware of its syllabus and marking scheme. Since there is no negative marking for this entrance exam, it will be quiet easy for students to score good marks. However, a lot will depend on the preparation and hard work, a student puts for clearing this entrance exam. Start practicing the topics which are your strong point and then move forward to the weaker areas. Read books, newspaper to increase your knowledge of Grammar and Current Affairs. Take mock tests, solve previous year question papers as much as possible. From the preparation point of view, Maharashtra Hotel Management-CET by Dr Chandresh Agrawal is the best book for MAH HM CET. Practice a lot and study as per the syllabus only. For More Details on MAH HM CET 2019, candidates can refer Information Brochure 2019.